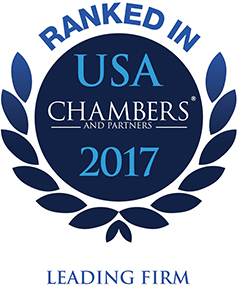 Chambers and Partners USA, publisher of one of the most respected peer guides to the legal profession, continues to rank Pircher, Nichols & Meeks as a Leading Firm in real estate law. Since 1999, Chambers and Partners has been researching the US legal profession, identifying the leading lawyers and law firms through interviews with thousands of lawyers and their clients. Their reputation is based on the independence and objectivity of their research. Chambers USA ranks the leading firms and lawyers in an extensive range of practice areas throughout the United States.